Many of us have held on to our cassette collections, in some cases long after our cassette players have given up the ghost. Personally, I’ve kept my gig tapes even after converting them to digital form, in the hope that new equipment would come along that could do an even better job of it. 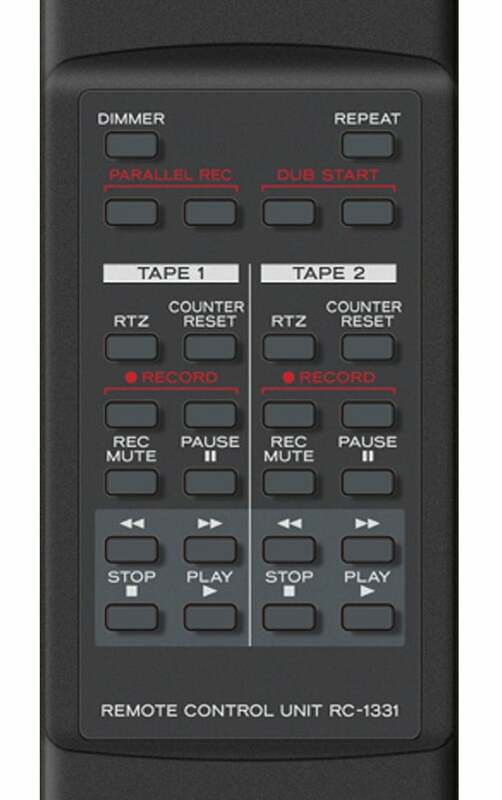 When I heard about the TASCAM 202MKVII dual cassette deck, which has a USB port for archiving, I was pretty stoked. The TASCAM brand has a good reputation, and I used earlier 202 models back in the day. But the $500 price tag took me by surprise. TASCAM is TEAC’s pro brand, and its product line has always been pricey, but this, after all, is a cassette deck. The price of admission takes the 202MKVII well out of the “Hey, let’s digitize these old tapes” impulse-buy territory. There are not lot of cassette decks left on the market to compare the 202MKVII to. I’ve used the Ion Audio Cassette 2 PC ($110 at AmazonRemove non-product link), and while it’s OK, it’s only OK. The 202MKVII is in a different league. But I was a bit curious as to where, 25 years after the technology’s hey-day, TASCAM was getting its parts? TASCAM assures me the components used in the 202MKVII’s are new and manufactured to the company’s specifications. I, of course, opened the enclosure to check, and what I saw was neither scary (i.e., hugely cheap) or particularly impressive. Both wells are belt driven, and the main logic board is labeled TEAC. Two-head mechanisms mean there is no monitoring of what’s being recorded, but that’s never been a feature of the 202. With nothing radical to see on the inside, I proceeded to replace the cover and peruse the front panel, which is decidedly more impressive. Aside from the two dampened transport doors with their eject buttons, each deck has stop, play, record, pause-record, record-mute, fast-forward, and rewind buttons. There’s a microphone input with a rotary gain control, and a headphone jack whose output is controlled with the same type of control. The 202MKVII’s front panel has all the bells and whistles you’d expect from a top-notch cassette deck, though it omits some that might affect playback quality, such as automatic rewind. Up top there’s the usual LCD readout with buttons for counter reset, return to zero (one for each well), dimming the display (several levels), repeat, parallel record (record to both decks at once), and dub start (copy from one well to the other). Off to the side are three two-position switches: Play Mode (Normal or Special, for monitoring the deck that’s not using the main outputs), timer (Off/Record/Play), and noise reduction (On/Off). There’s no automatic reverse, as was found on many consumer decks. The 202 has always kept it simple to reduce the complexity of the transport mechanism, limit failure points, and increase reliability. The rear of the 202MKVII is typical, with the exception of the USB port that provides a direct digital audio connection with your computer. On the back of the unit are the usual pairs of RCA inputs and outputs, plus the USB Type-B port. The port supports up to 48kHz/16-bit audio, though I recorded at 44.1kHz. The USB interface is output only, so you can’t record directly from your computer. That’s a bit of a bummer, because one of the joys of cassette decks is their capacity for spur-of-the-moment recording. The 202MKVII also comes with a remote (you can see its buttons to the right), which means you can couch-potato it while searching your mix tapes for that one song you just know has to be there. One thing beyond TASCAM’s control that might disturb old-timers is the lack of a Dolby label on the 202MKVII. Dolby was synonymous with tape-hiss reduction, and that’s where Dolby first really impinged upon the public consciousness. There was B, then C, and S, and HX, HX Pro, and so it went. Sadly, but understandably, Dolby no longer produces integrated circuits for tape noise reduction; instead, TEAC uses its own tech, which covers all the flavors except for Dolby C. Dolby C saw limited use as it’s only compatible with itself. Personally, I often avoid using any form of Dolby noise reduction on playback. Check the alternate solutions section for the reason why. Let’s get one thing straight right away. While the 202MKVII might induce some sticker shock, it is definitely a huge step up from Ion Audio’s Cassette 2 PC in terms of sound, features, and feel, and that goes for every other USB cassette deck I’ve looked at as well. I was also quite happy with the noise reduction, which indeed seemed to function like Dolby B, reducing hiss without significantly impacting the overall frequency response. The sonic quality was very good, although to be honest, I wasn’t as blown away as I was by some of the very last cassette decks that came to market in the 1990s. Still, I’d call the 202MKVII’s sound significantly better than average. I threw a number of cassettes at the 202MKVII, which handled most of them just fine. It does suffer, however, an oddity that I remember from back in the day: Pricier decks, and TASCAM’s in particular, handle iffy cassettes poorly. Indeed, the tapes most affected by warble displayed less of it on my off-the-street Akai deck than on the 202MKVII. When I say off the street, I mean I literally picked it up off the street after someone ditched it. Everything else sounded better on the 202MKVII. I recorded the 202MKVII’s output using both the analog out and the USB port. Both sounded very good, with the USB signal coming in at unity gain, which is as hot as you can go without clipping or other issues. That saves you the trouble of normalizing the signal. The 202MKVII performed admirably except, as I said, with the poor-quality types. Speaking of which. When I originally digitized my tapes, the Dolby on my cheap decks removed too much high-end along with the hiss. I got better results recording the raw output, and then processing that with Izotope’s $129 RX Elements, which I find to be the best noise-reduction software in terms of maintaining fidelity. I mentioned the 202MKVII not handling iffy tapes well. If you have a tape that’s warbling, fluttering, or exhibiting similar sonic anomalies. there is a very, very expensive piece of software from Celemony called Capstan that will correct the problem remarkably well. If Capstan were available only at its full $4,500 price tag, I wouldn’t have mentioned it. But you can actually rent it for five days for just $199. Obviously, the content you're looking to rescue must be pretty darn important to warrant the expenditure, but I’ve used Capstan and it works. The conundrum I face with the 202MKVII is that while it’s absolutely the best USB cassette deck I’m aware of, it’s exorbitantly expensive for simply digitizing a tape collection. If the price doesn’t bother you, it will do the job well. And to be honest, I simply like the unit. Those of a certain age probably will too. It’s new and will likely outlast the need for such devices. And even beyond the nostalgia aspect, I had forgotten just how joyous it is to simply press a button and record whatever’s playing at the moment. The 202MKVIII, with its USB interface, can make quick work of digitizing a tape collection. And the ability to press a button and record stuff is still quite useful.